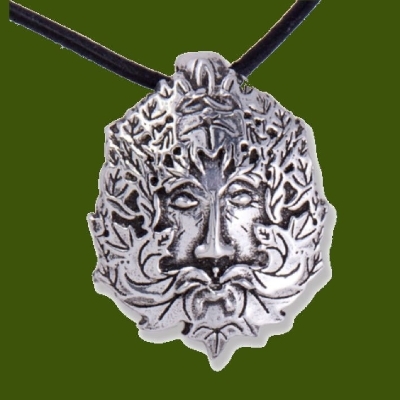 This Montol Festival Old Ned Antiqued Pendant is expertly crafted with beautiful Stylish Pewter. A pendant is designed to commemorate the annual Montol festival in Penzance, Cornwall. The Montol festival takes place every December in Penzance to celebrate many old Cornish winter traditions, culminating with a big event and torch lit procession on the winter Solstice on the 21st December. 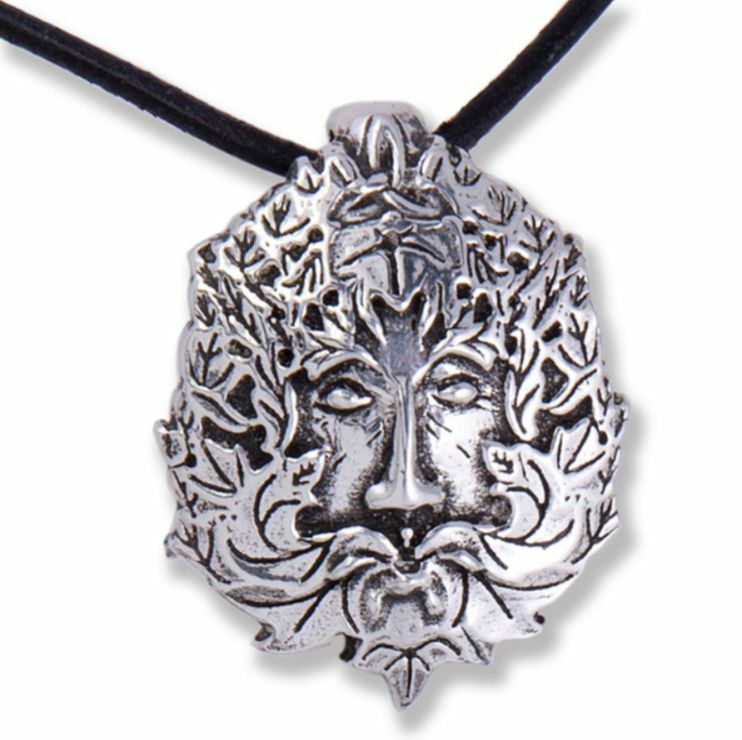 Dating back from the past, long before Christianity, the Green Man is a pagan survivor who, from the 6th century, was absorbed into Christian imagery and can be found in churches and cathedrals all over Europe. With his leaf-covered face he is thought to represent the link between humankind and nature thus signifying life, renewal and rebirth. Once discovered he will guide and protect. 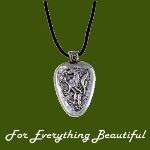 This pendant measures approximately 36.00mm (1.41 inches) x 30.00 (1.18 inches). An adjustable leather cord comes with this piece. Supplied in a satin and velvet-lined gift box.